Join Antonio Galloni for this extraordinary retrospective of the Barolos of Cantina Bartolo Mascarello. We will taste all of the modern-day classic vintages, including 2010, 2008, 2006 and 2004, as well as the 1990, 1989 and 1988 and a number of other reference-point wines. The night comes to a close with the 1986 Barolo, a wine from one of the most remarkable vintages of the last forty years (served from magnum), and the 1958, which is arguably the single greatest Barolo ever made at the estate. We will taste the 1958 from the exceedingly rare 1.9 liter bottiglione. Seats are $1350 (approximately £950) each. 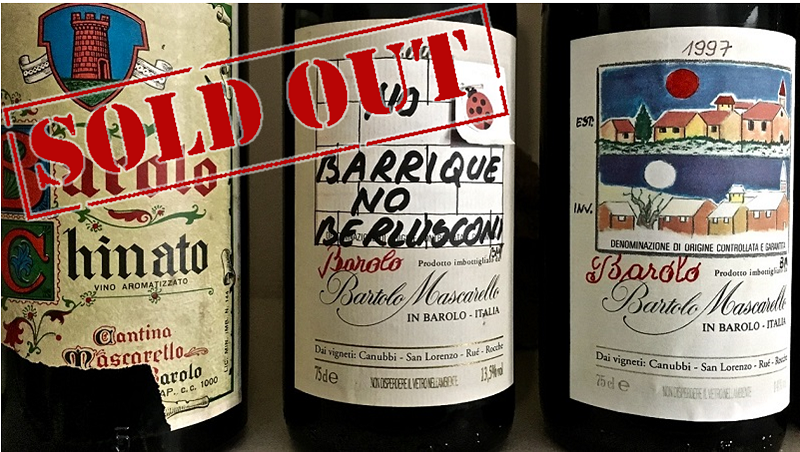 The event has now sold out. Please contact events@vinous.com if you would like to be put on the wait list.